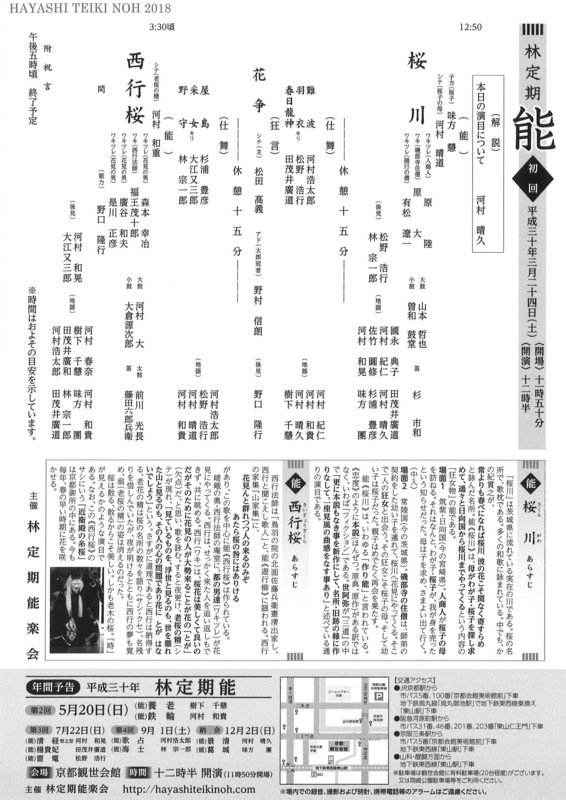 ・林宗一郎は能「桜川」後見、仕舞「野守」、能「西行桜」地謡にての出演となります。	・All seats are general admission. 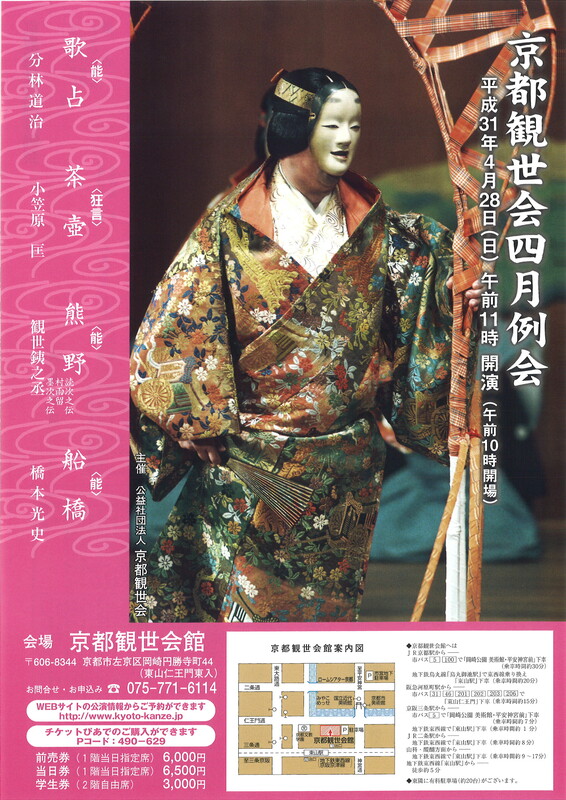 ・The performance is scheduled to end at 4:30p.m. 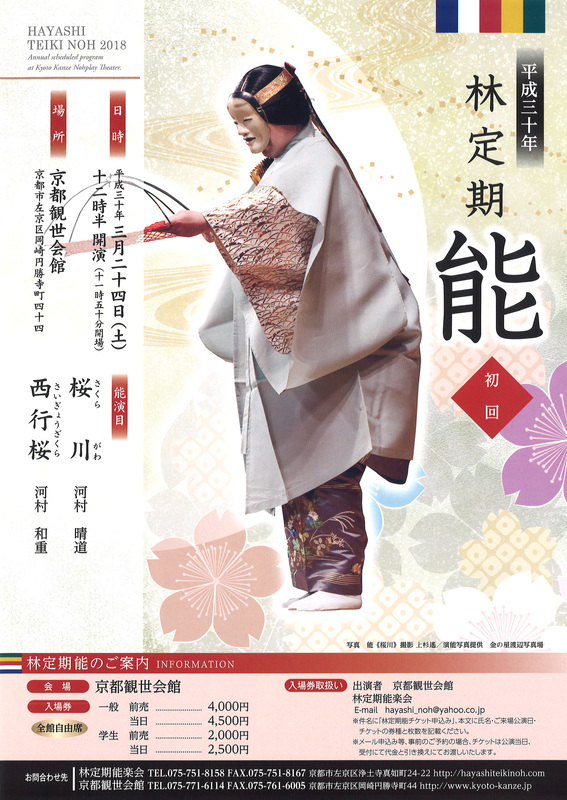 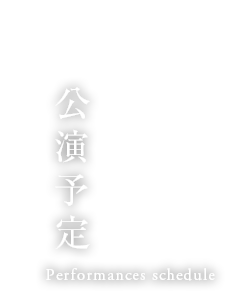 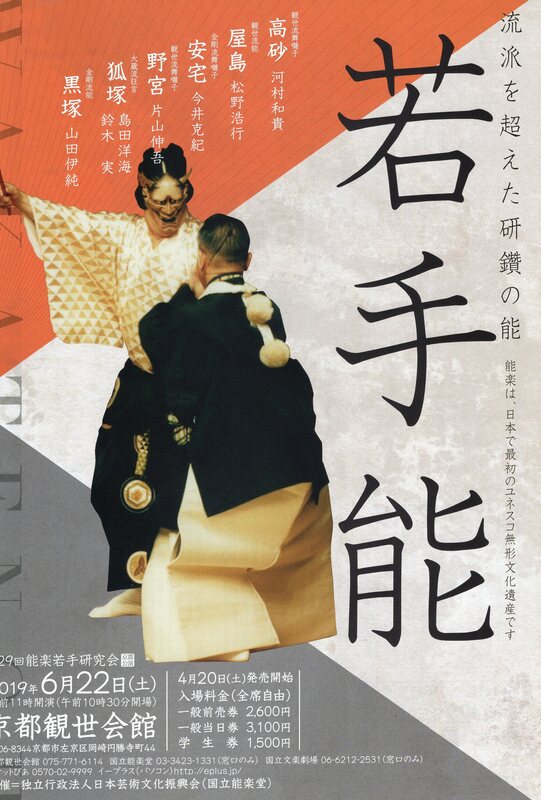 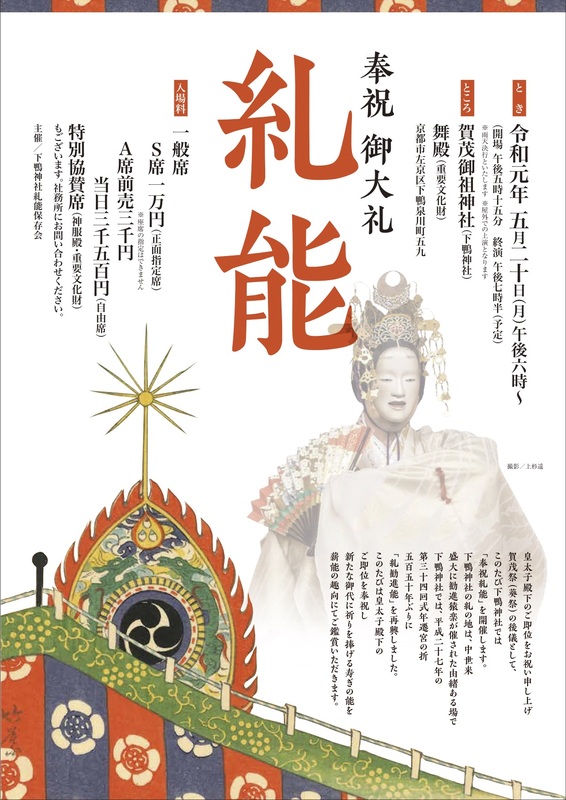 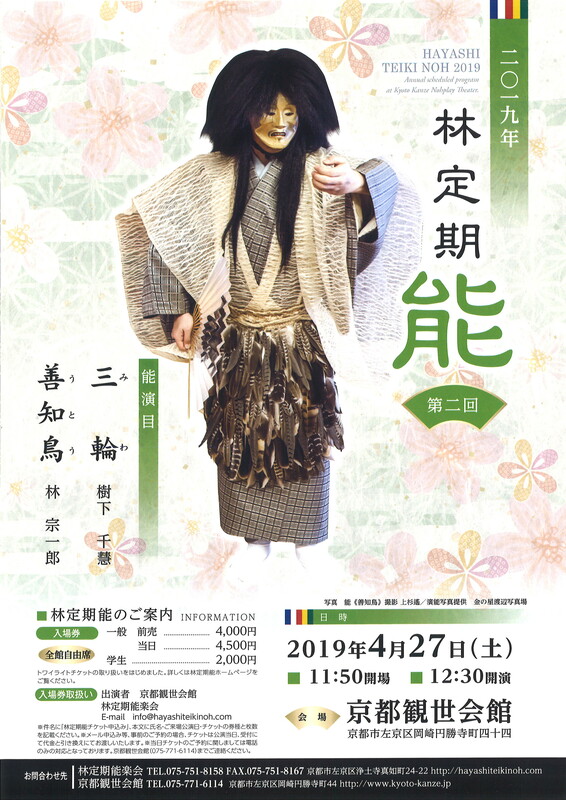 ・Soichiro Hayashi will perform as "Koken" in Noh "Sakuragawa" , as "Shimai" in "Nomori" and as "Jiutai" in Noh "Saigyouzakura".